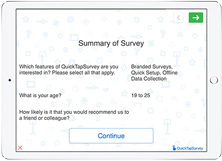 All of our plans come with unlimited surveys and responses. 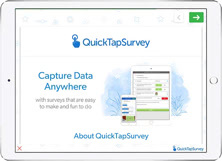 Find the QuickTapSurvey plan that is perfectly suited to your data collection needs. Choose one of many pre-designed themes. 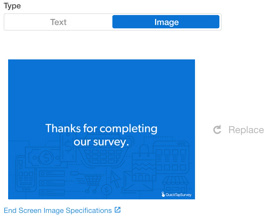 Browse our library of over 80 survey examples. 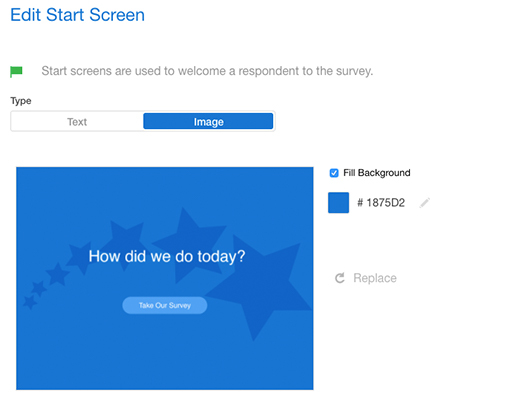 Brand and customize your survey by adding your own background image. Fully brand your start screen by displaying a custom image on the entire screen. Fully brand your end screen by displaying a custom image on the entire screen. Specify which question(s) to show next based on the answer to the current question. Automatically restart survey upon completion. 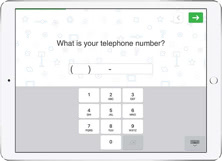 Create surveys in any language which is supported by the UTF-8 character set. Randomizes the answer order every time the question is loaded. Create users in your account and add custom roles to manage the data they collect. 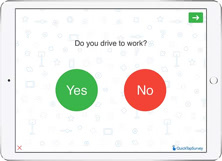 Add simple skip logic to your surveys based on a condition. 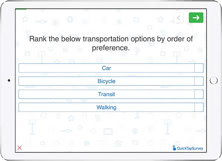 Specify which question(s) to show based on answers to one or more previously answered questions. 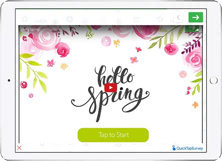 Instantly send a follow-up email that can be completely customized. Set up automated alerts based on the data you collect. 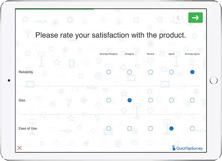 Re-brand the QuickTapSurvey web application with your own logo, colors and a custom URL. 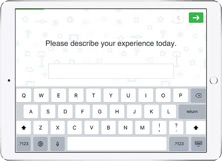 Set an exit code so users can't exit the survey. Ideal when using your tablet as a kiosk. Restart the survey if it has been abandoned for a specified amount of time (in seconds). Ideal when using your tablet as a kiosk. Report on which kiosks are currently active. Receive a notification if one of your kiosks is not running. 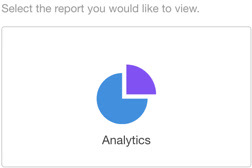 Analyze survey results online using system generated pie charts, bar charts and tables. 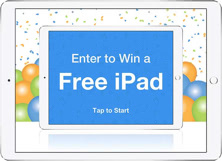 Select a random winner from survey responses. Scheduled Reports allow you to send certain reports by email on a regular schedule. 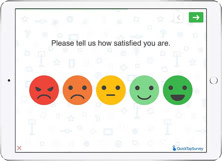 Report on-going satisfaction scores to measure the short-term happiness of your customers. 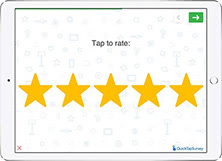 Report on-going NPS® scores to measure the long-term happiness and loyalty of your customers. 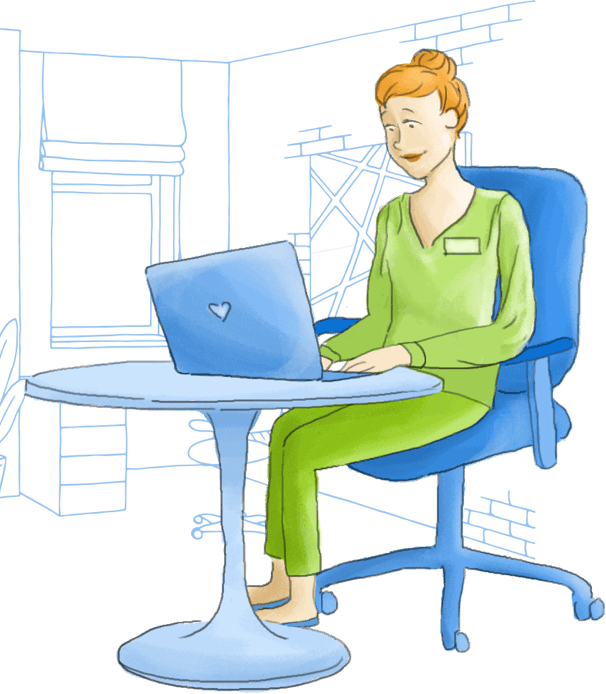 Alert a person or group of people by email when a survey response meets a specific set of conditions. 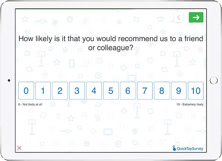 Automatically calculate an audit style score for each survey response. Unanswered questions are ignored in the calculation. 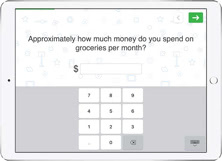 Automatically calculate a quiz style score for each survey response. Unanswered questions are included in the calculation. 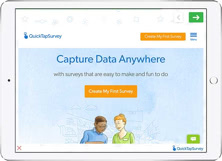 Generate professional PDF reports to share your survey results with others. Export emails and other contact details to MailChimp. Export all survey data in CSV format to Google Drive. Export contact details and other lead data to Salesforce. 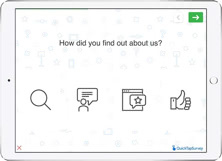 Export contact details and other lead data to Infusionsoft. 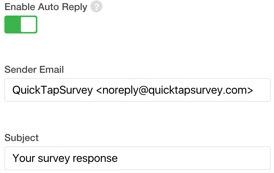 Connect QuickTapSurvey to your favorite apps with Zapier. Search our extensive knowledge base to help get started, troubleshoot issues or find answers to commonly asked questions. 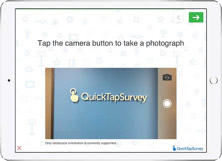 Get help from our team of QuickTapSurvey experts by email. 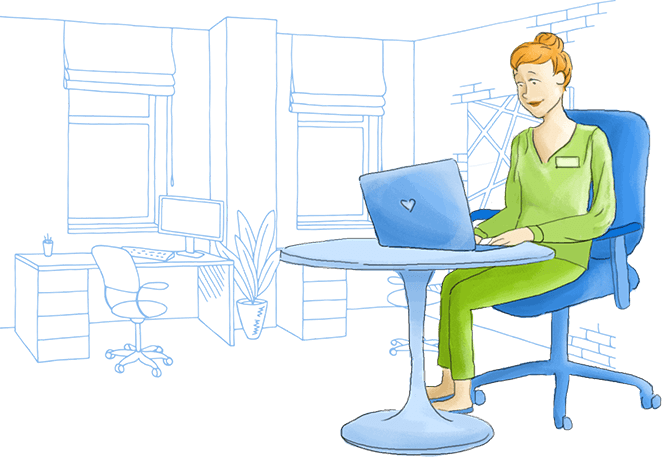 Receive complimentary online training sessions. Receive a complimentary training session for all members of your team. Select one of two choices. Select one answer from a list of possible answers. Rank a list of up to six pre-defined items. Enter text input on one line with configurable shortcut keys. Enter text input that spans multiple lines. Enter a monetary value in many different currencies. 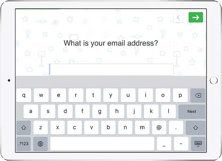 Capture a correctly formatted email address with configurable shortcut keys. 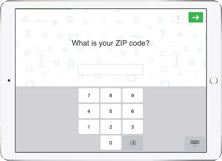 Enter a zip or postal code. 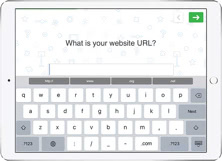 Enter a correctly formatted website URL with configurable shortcut keys. Select one or more answers from a list of up to 36 possible answers. 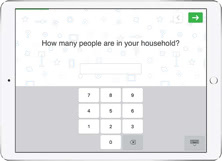 Select one or more answers from up to 8 displayed images. 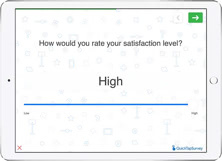 Measure attitudes, opinions and beliefs using a 5-point rating scale. Select a value within a pre-defined range. Rate a given statement or scenario. Indicate how satisfied you are with a given statement or scenario. 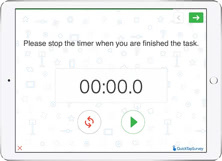 Display instructional text to the user. 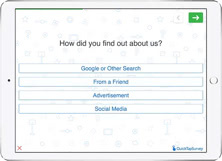 Show a summary of all the questions in a survey and the answers that were provided. 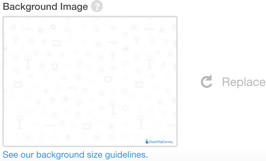 Display an image that covers the entire screen. 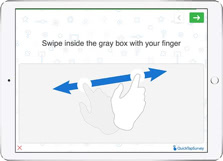 Show a PDF document to the user. Show a website to the user. Show a YouTube video to the user. 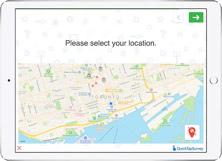 Specify a point on a map and capture the longitude and latitude of that location. Take a photo with a camera-equipped tablet or phone. 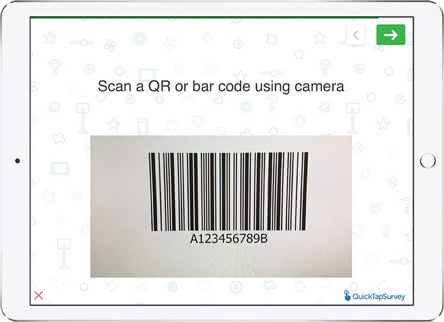 Scan any QR code or barcode that contains information such as contact details or URLs. Swipe the screen to reveal one of up to eight randomly selected prizes. 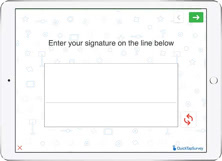 Capture and store a signature directly on the device screen. 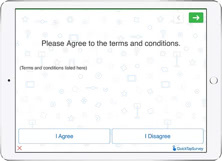 Display terms & conditions for the user to accept and decline.